A handout for elementary players (and their parents!) that succinctly explains how to play chess, all on one 8.5 x 11 inch piece of paper! (Double-sided, with Tips for Parents.) Using the Internet Explorer browser, you can fit it all on one sheet (two pages) by going to 'Page Setup', removing any headers or footers, and setting all margins at 0.7 inch before printing. Different browsers may require slightly altered margin settings. A wealth of excellent 8.5 x 11 handouts, copyright free to schools and other non-profits. Thank you Rockford Chess Club! 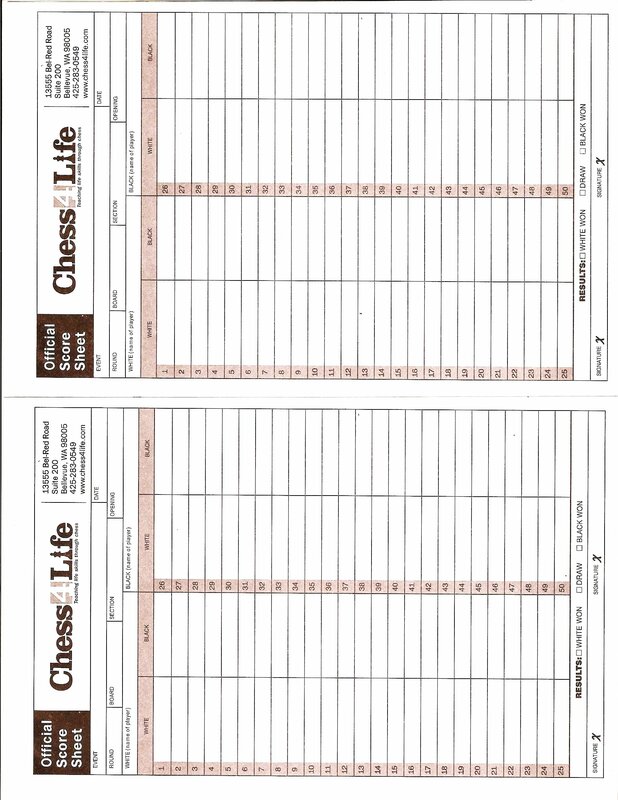 The following are nicely formatted handouts that scholastic chess clubs can duplicate freely. Big thanks to Prof. Chester Nuhmentz, Jr. for making these available! They're in standard 8.5 x 11 size, in .pdf format (download the .pdf reader here if you don't have it already). And chessKids academy (in England) has produced some excellent chess lessons, each about 5-6 pages in a big clear font, freely duplicatable, in .pdf format. Designed for school chess clubs as lessons for instructors, but can be used as handouts as well.